Foot massage is one of the most unbelievably relaxing treats that you can give yourself or others. 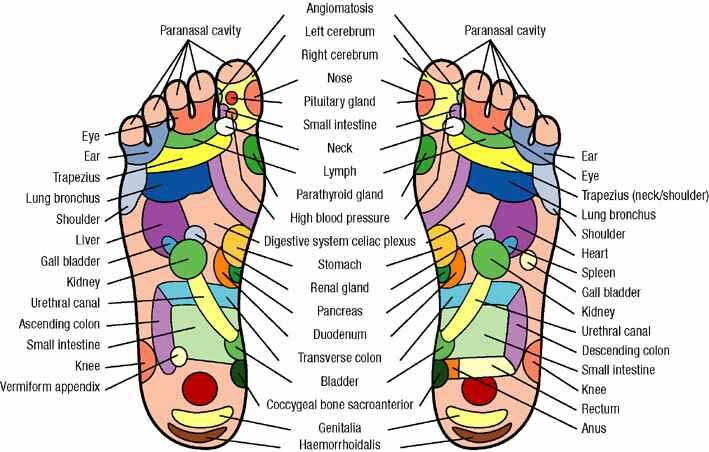 The ultimate study of foot massage is reflexology. Foot reflexology is "pressure therapy" and involves applying focused pressure to certain known reflex points located in the foot to cure or prevent disease. Lower back pain is the second most common body-ache in the USA. Stay at the same position for a long period of time (driving, sitting, lift) will cause low back muscles to over work and increase the tension. By massaging the back muscle deeply with stronger pressure on the trigger points will help blood flow through the area. Shooting pain, numbness, and/or tingling down one side of your lower back and into your leg or foot may be an indication you are suffering from irritation to the sciatic nerve. Sciatica is often caused by a problem in the lower back that compresses nerve roots and sends pain signals down the back of the leg. Our massage therapist can provide relief from leg pain caused by a problem in the back. Our massage therapist has plenty of experience treating sciatica nerve pain and lower back pain, because the technique used for this type of massage is highly specialized. Our massage therapist works on all of the muscles that support the area of the back surrounding and affected by the sciatic nerve. Some massage technique requires longer and more intense massage through out the body. Consult with our friendly and professional massage therapist for the best options. A heavenly body massage offers an extensive array of massage therapies, body care and body therapies that are targeted for your special need. Relax, reinvigorate and restore with a personalized service from highly trained professionals. After all, you will feel a great relieve. A study in the Journal of Alternative and Complementary Medicine found that people's blood pressure fell after a single 45 to 60 minute deep tissue massage. Additionally, a 2010 meta-analysis in the Journal of Clinical Psychiatry found that massage modalities like deep tissue reduce stress hormone levels and heart rate while boosting mood and relaxation by triggering the release of Oxycontin and serotonin. Trigger points in the suboccipital muscle group are the most common cause of tension headaches. Our massage therapist will work on those trigger points to increase the blood flow and reduce the stiffness to release the pressure. Your headache will soon go away. 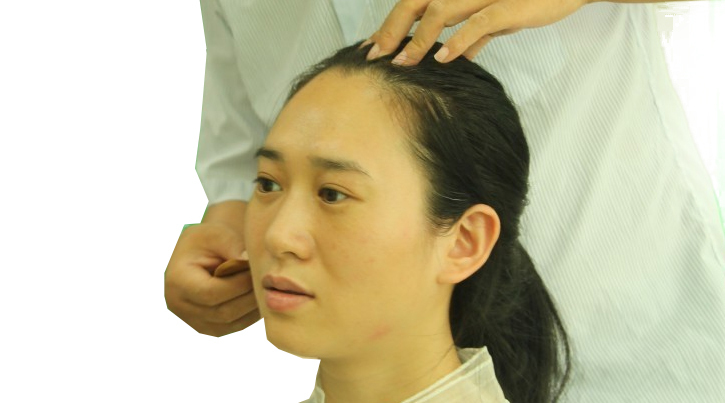 Ancient Stone Acupuncture (古代的砭灸术) (AKA Chirospinal Treatment) is very popular in China as physical therapy treatment to release neck and shoulder pain. Neck and shoulder pain is the most common body pain in the modern world. The neck and shoulder region of the human body tends to accumulate more tension than any other area. Tension headaches and upper-body stiffness can be traced back to the neck, which can be agitated by bad posture or sleeping position. Using computer or mobile device for frequently will reduce the blood flow and increase the tension of the neck and shoulder muscles. Massaging the neck can loosen the muscles and reduce tension and stiffness. Use these steps for learning neck massage techniques.